Law has been providing quality distribution services for more than 130 years. Now in its 5th generation, Law has evolved into one of the largest distribution companies in New England. Law’s reputation as a leader and logistics innovator stems from their proven track record of excellence in servi ce and dedication to customers—many of whom have used Law’s services for decades. The Laws have learned to manage change and streamline their operations over their family’s business history and enjoy lending their knowledge and expertise to companies of all sizes in helping them increase their profitability. Law Logistics is proud of its relationships with customers and enjoys providing flexible, dependable and efficient distribution solutions. You too can depend on Law to provide variable cost distribution solutions that meet your business needs. More than 65 electric pallet jacks, stock-pickers, and forklifts with capacities ranging from 2,000lbs to 17,500 lbs. Full security systems, including motion, intrusion, high value storage, and cameras, all centrally monitored. MAVES builds advanced 3PL software for logistics companies who handle the warehousing and transportation requirements of multiple clients. Their flagship offering ViewPoint Logistics enables Law to manage their operations in real time using simple, powerful tools that will improve the agility and profitability of their business. For over 30 years, the MAVES Team has been designing, implementing and supporting 3PL software systems for multi-client service providers. Currently, MAVES applications are being used in hundreds of different warehousing / transportation operations worldwide and Maves remains the most 3PL-focused software developer in the industry. This fully-integrated suite comprises a Warehouse Management System (WMS), Transportation Management System (TMS), 3PL-centric billing and financials (FMS), secure customer access portal (MyLogistics) and collaborative business intelligence tools. Standard functionality includes support for RF, EDI and XML communications, cross docking, assembly/disassembly, foreign trade zones (FTZ), as well as the bonding and excise/taxation reporting requirements associated with beer, wine, spirits and other regulated commodities. The Maves software interfaces with UPS, FedEx and US Postal service and offers tracking and reporting so you know exactly where your product is at all times. For some customers we bring their systems in-house, operating as an off-site location directly on their systems, directly updating their systems. No matter what IT solution we use, our IT staff has the knowledge and experience to solve all your IT needs. Their location, which is serviced by Pan Am Railroad, serves as a central location for the distribution of product to and from New England. 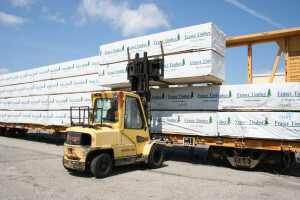 We have decades of experience loading and unloading all types of rail cars, ranging from undercover unloading of box cars to secured fended in yard unloading of center-beam lumber and steel flat cars. Growing businesses often lack the capital to build and epuip warehouses and/or fleets of trucks. Seasonal fluctuations can put pressure on distribution systems, or worse, leave valuable capital assets idle. Before investing in an expensive warehouse facility, fleet of trucks and the resources, equipment and personnel required to operate your own space, visit us for cost-effective solutions. 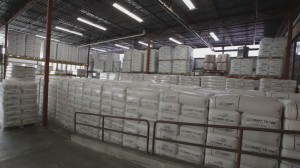 Let us handle your warehousing and transportation needs so that you can invest your capital back into your business. Through our experience and professionalism, we make it possible for you to focus your time and resources on your core strengths. With more than 10 years of employment at Law on average, you can count on Law’s well-qualified and professional staff to be efficient, friendly and proactive working on your accounts. Law offers just in-time inbound logistics solutions for a variety of manufacturing and distribution companies. They can work with your vendors to streamline ordering and inventory processes providing you just-in-time access to their inventory, at their cost, to your benefit. Your materials can be stored at Law and delivered when your manufacturing, assembly, or distribution system needs them – all on a variable cost basis. Materials can be received at Law via rail service or trucks. Law can save you money and resources by helping your business adapt to seasonal needs or fluctuations in your products demands. Hitchner Manurfacturing relies on Law for quick, next-day turnaround of materials from six (6) key suppliers. Each supplier maintains their own inventory, allowing Hitchiner to feed their manufacturing center on a just-in-time basis. The suppliers benefit by satisfying a critical customer, while giving them just-in-time delivery service to all of their other New England customers as well. Law has provided this “just-in-time” service to Hitchiner for more than 20 years. Asolo Footwear and Anomaly Action Sports (Shred Optics) are two examples of companies that we have partnered to create national variable-cost distribution programs. Serving as their US Distribution center, we pick-&-pack all orders, interfacing directly with Fed and UPS, handle all returns and provide customer service support services. As examples of two seasonal businesses, they are able to leverage our resources and equipment to meet all of their seasonal demands. For Asolo, we provide these services directly through their computer systems in our warehouse, while for Anomaly we interface directly with Anomaly’s systems through the Maves 3PL Management Suite. We have the IT resources to develop the solution that works best for your organization. Law offers all sizes of kitting projects. Kitting and subassembly takes valuable time away from your staff. Law has the staff, experience and equipment, to make your kitting projects a success. First Robotics relies on Law to receive, inventory, sub-assemble and ship more than 3,000 kits to its Frist Robotics teams all over the world within a very tight time window while maintaining the secrecy of what’s in the kits to ensure no teams learn about its contents before the kick-off reveal. Law is working closely with First Robotics to develop streamlined processes to help save them time and money while maintaining critical on-time delivery of all kits to teams around the world. With over 100 parts for each kit and strict delivery programs, Law is excited to be part of First’s continued growth and success. Law has a variety of storage spaces for campers, sports cars, boats and trailers. If you need your equipment serviced in the off season, Heavy Duty Truck and Diesel can help you.